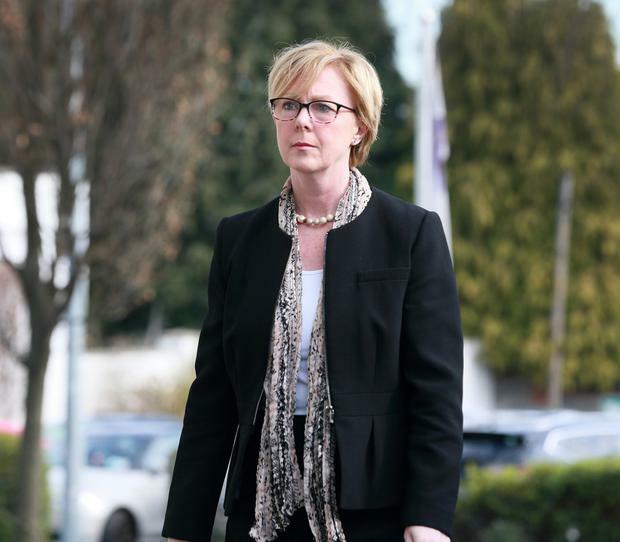 Social Protection Minister Regina Doherty claims Fianna Fáil is trying to scare old people by suggesting future pension increases will be limited. The Government wants to link social welfare increases to consumer prices and wage increases. But although Ms Doherty says this will set a base, rather than a cap, for increases, Fianna Fáil's Willie O'Dea has said he will "fight to the death" to stop the move because he believes it will "lock" many pensioners into poverty. He told the Irish Independent that research showed that an apparently small rise in inflation across the board had a disproportionate effect on those people living "week to week". Ms Doherty and Health Minister Simon Harris have hit back, saying the Limerick TD is misrepresenting their plan. Ms Doherty said: "It's very disappointing that Willie hasn't been able to produce any policy or costings for what he'd like to do in this area." She added that Mr O'Dea was trying to "scare people" by attacking something without any basis in fact. Mr Harris accused the former defence minister of using the pension debate to try to boost his party's chances in the local elections. "He tends to bring out the fiver on pension thing. It's a little earlier this year," said Mr Harris. "He usually brings it out around mid-summer and we have the back and forth on it until the Budget in October. "But he's out a little earlier this year. Maybe it's because there are local and European elections, who knows?" Mr Harris added that the idea of indexation was being "rather mischievously misrepresented". "Linking things is not actually about setting the ceiling. It's about setting the floor. It's about making sure our pensioners are actually guaranteed that as costs rise that those costs are met by the pension." Government policy says it wants to move to the new system for calculating increases in time for Budget 2020. However, this will prove extremely difficult without the backing of Fianna Fáil under the Confidence and Supply arrangement. Mr O'Dea says the proposed system would result in significantly smaller yearly increases for pensioners. He claimed the headline inflation figures include the price of yachts and Ferraris. This is strongly disputed by Ms Doherty's office, which said the mechanism for deciding the link with inflation has yet to be decided. In the 12 months to the end of February, the Consumer Price Index rose just 0.6pc. An increase based on this figure to the €243 contributory pension would amount to around €1.50. "A number of studies have been done, showing if inflation here is at 1pc-2pc, it is up to 4pc-5pc for people who are living week to week," Mr O'Dea said. "This is a typical Fine Gael move to keep the poor in place."